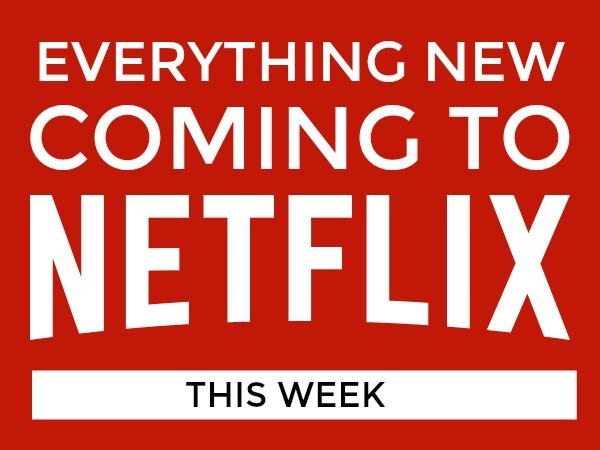 Check out the full list of what’s new on Netflix the week of September 23-29. Includes movies, TV shows, series, and Netflix originals. Did you miss the list of new on Netflix September 2018? Norsemen: Season 2 (Netflix Original) “Game of Thrones” meets “Monty Python” in the second season of this sitcom about an 8th Century Viking village. Battlefish (Netflix Original) Over the course of the fishing season, a group of fishing boats pursues the lucrative albacore tuna in the competitive waters off the Oregon coast. Chef’s Table: Volume 5 (Netflix Original) The acclaimed documentary series about chefs, food and culture continues. El Marginal: Season 2 (Netflix Original) The Spanish-language crime drama continues after an ex-cop worked to infiltrate a prison in Season 1. Forest of Piano (Netflix Original) Anime about friendship, family and a connection made through music. Hold the Dark (Netflix Original) A thriller starring Jeffrey Wright and Alexander Skarsgård and directed by Jeremy Saulnier (“Green Room”). Jack Whitehall: Travels with My Father: Season 2 (Netflix Original) The wonderful British comedian does some more traveling with his dad. Lessons From A School Shooting: Notes from Dunblane (Netflix Original) The documentary follows two priests who connect after experiencing similar tragedies. Lost Song (Netflix Original) In this musical anime series, characters’ powers are activated through song. Made in Mexico (Netflix Original) For fans of “Keeping Up With the Kardashians”: Netflix presents a reality series about socialites in Mexico City. Reboot: The Guardian Code: Season 2 (Netflix Original) The reboot about the ’90s cartoon didn’t get good reviews for its first season, but maybe its smart teens have more exciting cyber adventures this time around. Skylanders Academy: Season 3 (Netflix Original) The animated series about mystical creatures (voiced by Justin Long, Ashley Tisdale and Jonathan Banks) gets more episodes. The 3rd Eye (Netflix Original) Sisters move back to their childhood home that may have a dark presence. Two Catalonias (Netflix Original) Netflix hasn’t shared more information on this title as of publish time. And here’s everything leaving Netflix this week. What are you looking forward to watching this week on Netflix? Previous Post: « Mary Poppins Returns – New Trailer & Poster Now Available!